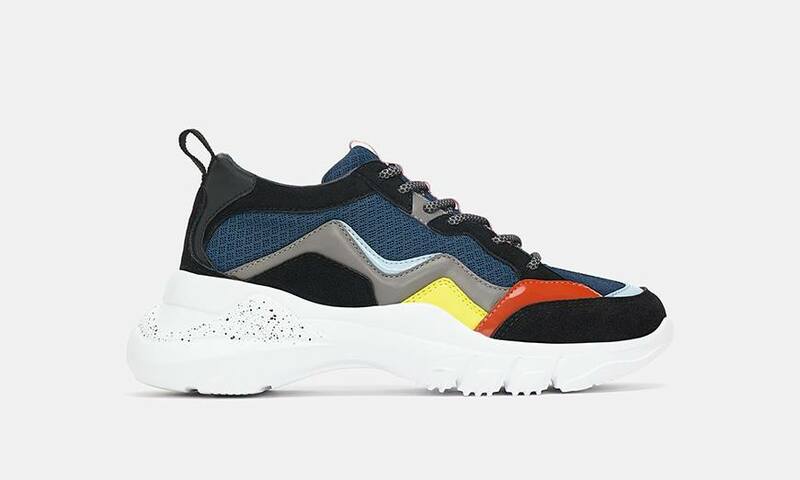 From futuristic shapes to overbuilt soles, bold sneakers are at the crux of nearly every wardrobe these days. 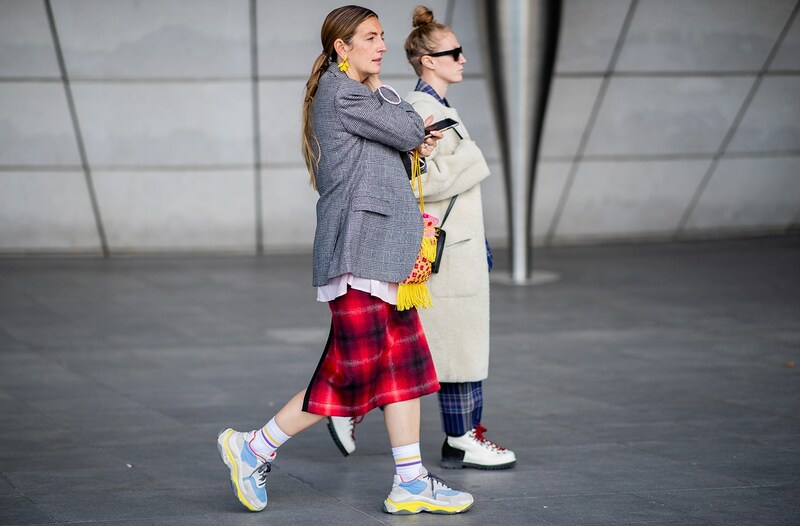 They serve as a fresh finishing point to a multitude of outfits (and not just those rooted in Spandex). 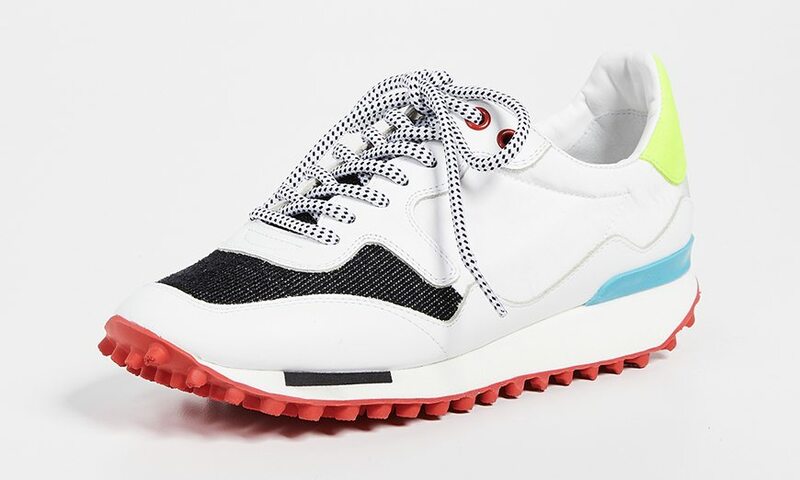 Even the most feminine-leaning tastes are subbing heels, flats, and mules for sporty styles, further solidifying the footwear category as number one. 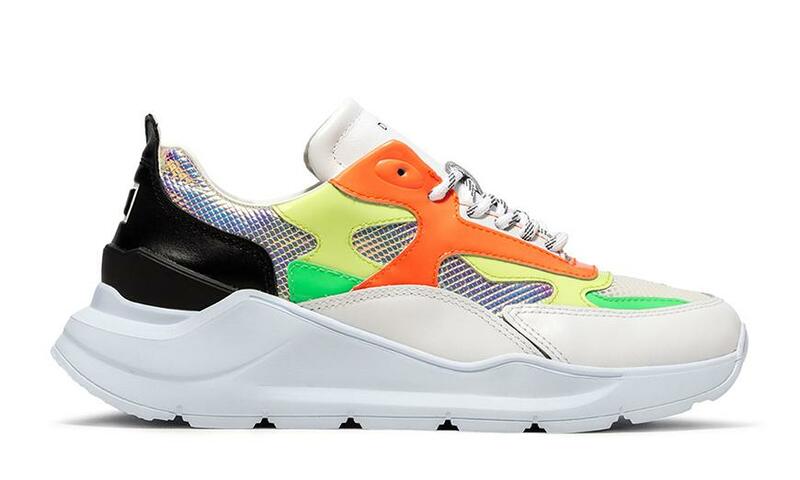 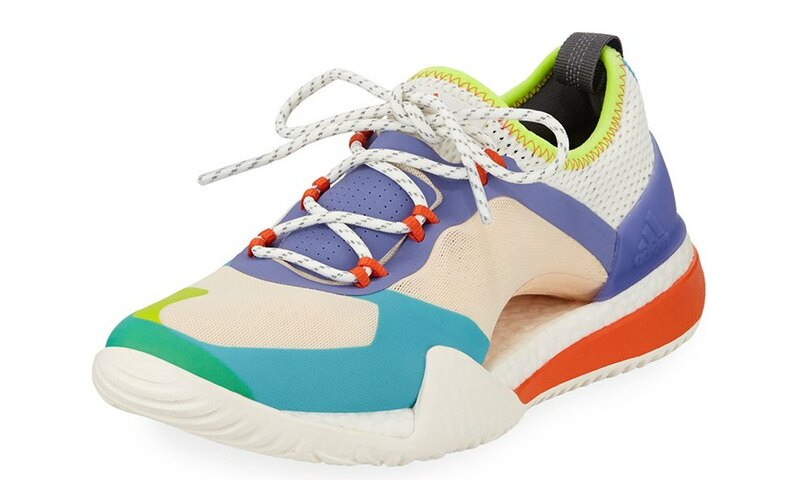 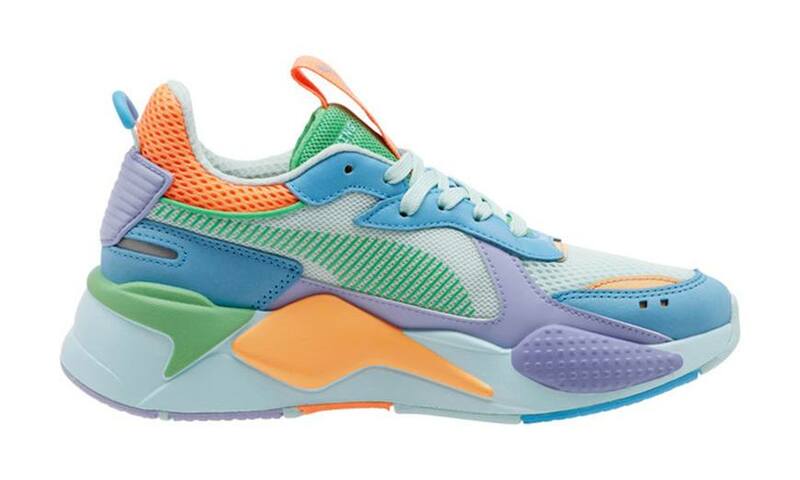 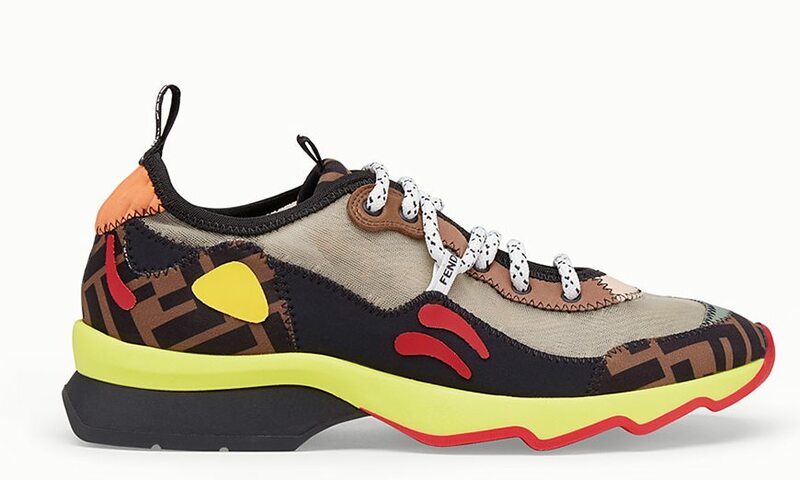 Right now, a new wave of statement sneakers is staking its claim with fluorescent laces, bright, rainbow color blocking, and holographic accents—see the runways of Escada, Off-White, Versace, Christopher Kane, and MSGM for proof. 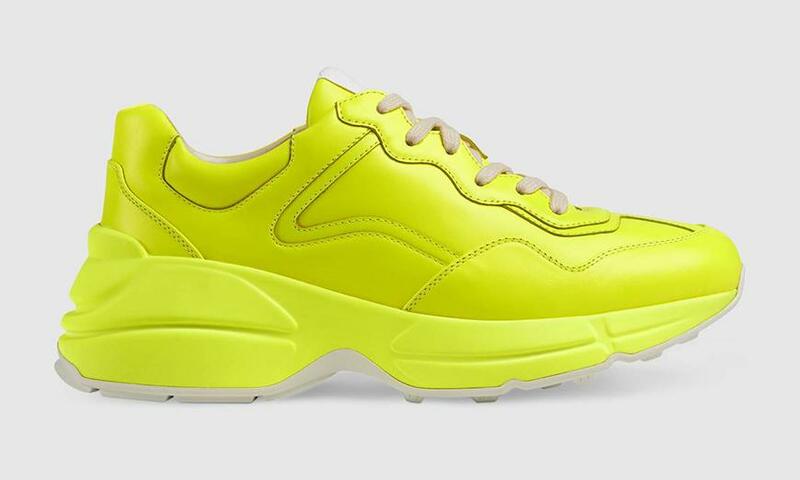 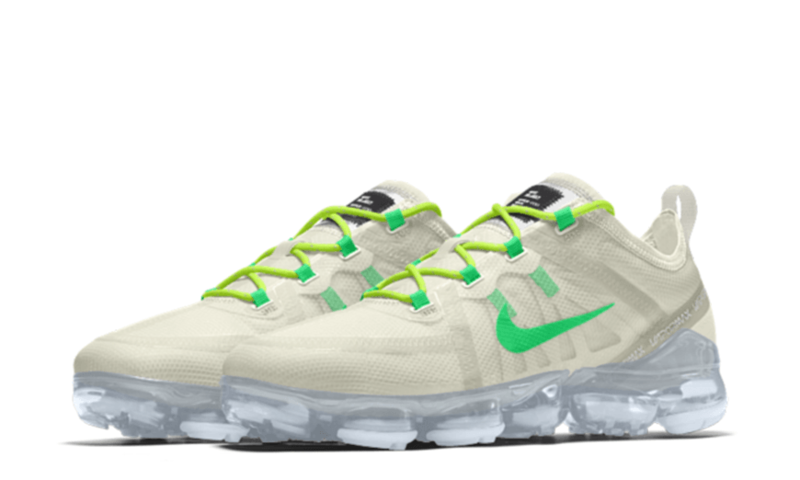 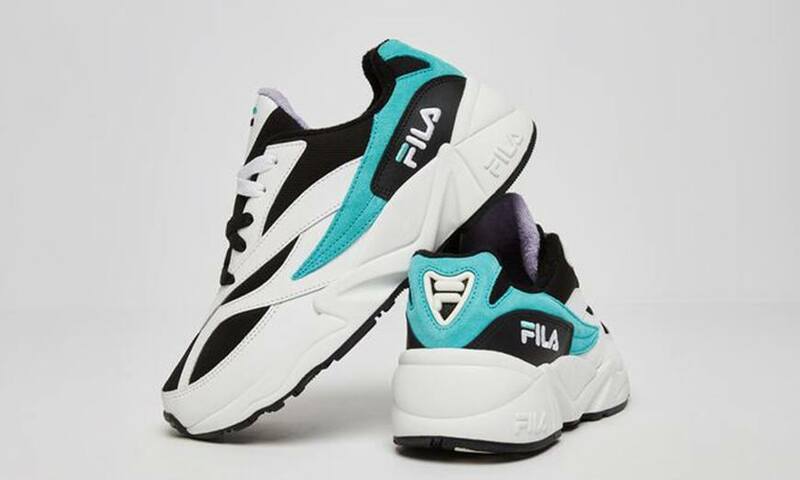 More than an evolution of chunky dad sneakers, these electric styles are a part of another spring drift: neon colors, without diving headfirst into DayGlo shades top to toe. 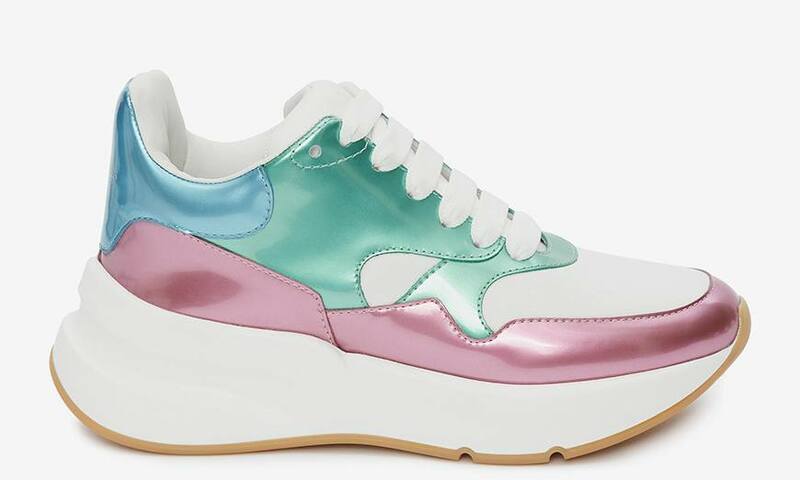 To stylist Courtney Madison (who’s worked with major celebs like Beyoncé, Rihanna, Mindy Kaling, and Katy Perry), these new statement sneakers are a must-try for 2019. 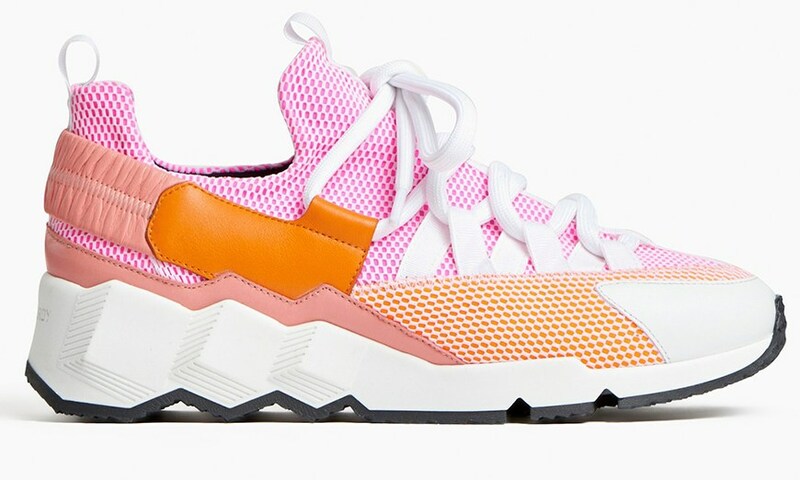 “The Escada high tops are that perfect pop of color without the heaviness of some recent sneaker trends,” she says. 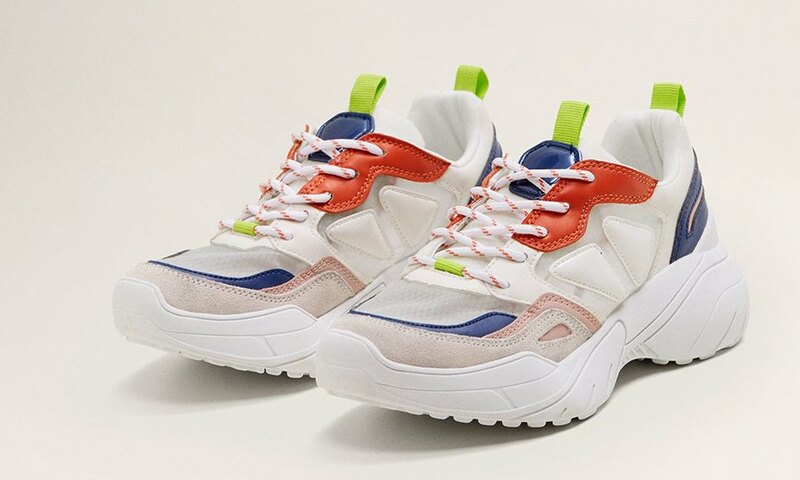 And come spring, your sneakers can level-up pretty much any outfit—”especially as an offset to swingy dresses,” says Rebecca Dennett, a stylist who’s worked with Chloe Grace Moretz, Christy Turlington, and Rose Leslie and styled editorials for Vogue Mexico, V Magazine, and Teen Vogue. 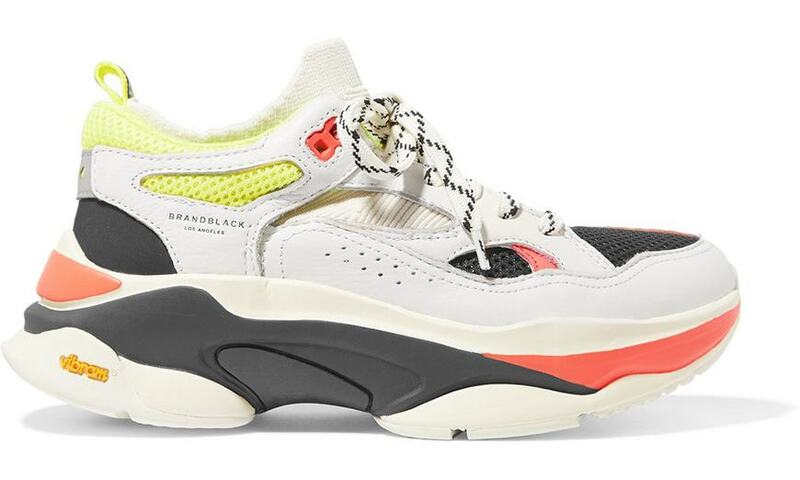 Whether you’re looking to brighten your sneaker game for work, workouts, or both, keep scrolling to see 15 styles from under-$100 versions to designer takes on statement kicks. 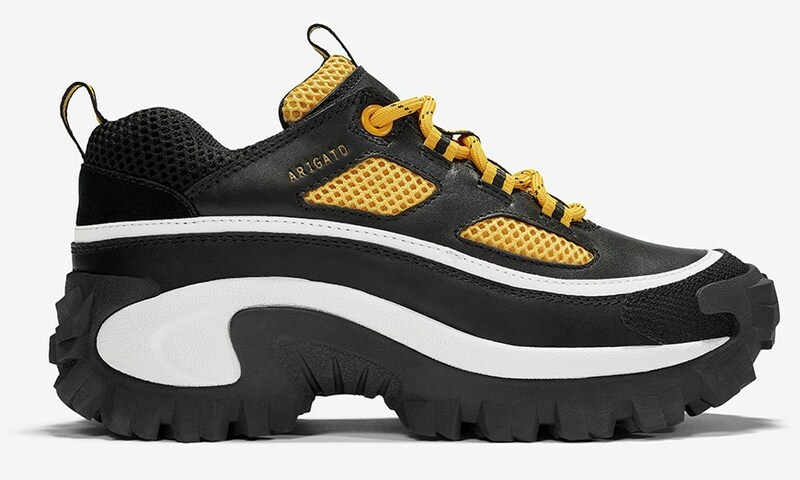 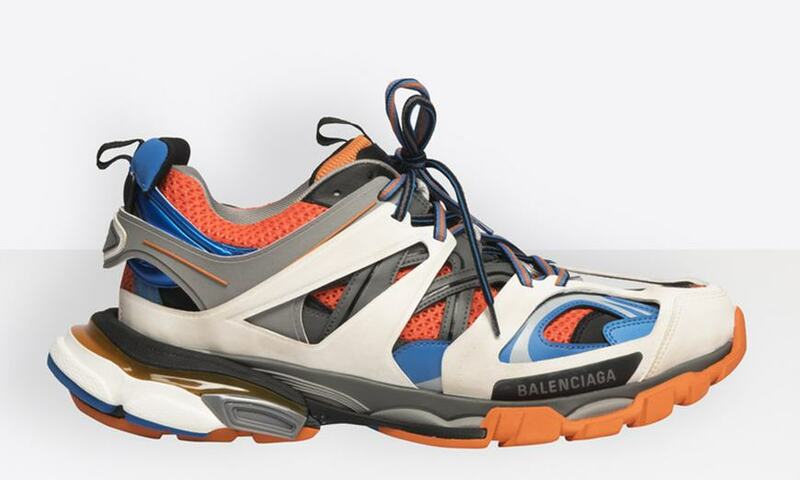 Fun fact: Balenciaga’s Track Trainers are the designer label’s first foray into performance shoes and part of a bigger movement taking over fashion right now: gorpcore.